J.P. Auffret is Director, Research Partnerships in the School of Business and Associate Director, Center for Assurance Research and Engineering in the Volgenau School of Engineering at George Mason University. He was previously director of the executive degree programs in the George Mason School of Business including the MS in Technology Management, the MS in Management of Secure Information Systems and the Executive MBA. He is also co-founder and vice president of the International Academy of CIO. His work and research span a range of applied technology fields including IT governance and leadership, and cybersecurity. He has served on several Commonwealth of Virginia commissions including the Commonwealth of Virginia Health Information Technology Advisory Commission (HITAC); and is active in ICT and cyber security research including cybersecurity leadership, addressing cybersecurity challenges for cities and counties, and Smart Grid, and with NSF and IBM. In addition, he has worked with the World Bank and ITU on mobile and ICT for Development and is a member of the American Zoological Association research committee. He has 30 years of technology industry and academic experience including management and executive positions with MCI and its joint venture with British Telecom, Concert and academic positions with George Mason, Duke University’s Center for International Development and as physicist-in-residence at American University. Auffret earned a B.S. degree from Duke University where he was an A.B. Duke Scholar, an M.B.A. from the University of Virginia and a Ph.D. in Physics from American University. James Bessen studies the economics of innovation and patents. He has also been a successful innovator and CEO of a software company. Currently, Mr. Bessen is Lecturer in Law at the Boston University School of Law. Bessen has done research on whether patents promote innovation, why innovators share new knowledge, and how technology affected worker skills historically. His research first documented the large economic damage caused by patent trolls. 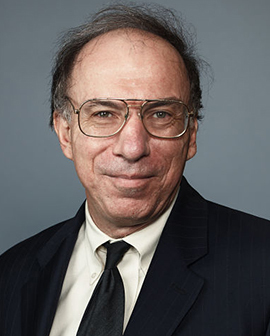 His work on software patents with Eric Maskin (Nobel Laureate in Economics) and Robert Hunt has influenced policymakers in the US, Europe, and Australia. With Michael J. Meurer, Bessen wrotePatent Failure (Princeton 2008), highlighting the problems caused by poorly defined property rights. His latest book, Learning by Doing: The Real Connection Between Innovation, Wages, and Wealth (Yale 2015), looks at history to understand how new technologies affect wages and skills today. Bessen’s work has been widely cited in the press as well as by the White House, the U.S. Supreme Court, judges at the Court of Appeals for the Federal Circuit, and the Federal Trade Commission. In 1983, Bessen developed the first commercially successful “what-you-see-is-what-you-get” PC publishing program, founding a company that delivered PC-based publishing systems to high-end commercial publishers. Intergraph Corporation acquired the company in 1993. Jennifer Blanke is Vice President for Agriculture, Human and Social Development of the African Development Bank. She holds a Master's in International Affairs from Columbia University, and a Master's and PhD in International Economics from the Graduate Institute of International Studies, Geneva. She was formerly Vice President for Agriculture, Human and Social Development at the World Economic Forum. She has worked as a management consultant at Eurogroup, Mazars Group, Paris, where she specialised in banking and financial market organization. From 1998-2002 she was the senior programme manager, responsible for developing the business, management and technology section of the World Economic Forum's Annual Meeting in Davos; from 2002, she held responsibilities within the Global Competitiveness and Benchmarking Network and between 2007 and 2014 was team head. She has written and lectured extensively on issues related to national competitiveness and has served as lead editor on a number of regional and topical reports related to economic growth and development. Ted Castronova serves as Professor of Media and holds the chair of Media Arts and Production at Indiana University, Bloomington where he specialises in the study of synthetic worlds. 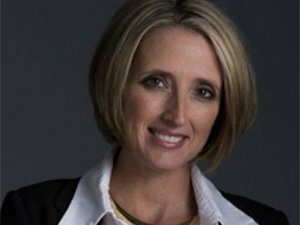 Dr. Castronova serves as a Member of Advisory Board at Seriosity, Inc. He teaches several courses on the economic and social impact of videogames, while pursuing scholarly research on the same topic. His groundbreaking academic publication on virtual economies Virtual Worlds has over 27,000 downloads. He is also the author of Synthetic Worlds and Exodus to the Virtual World (Palgrave, 2007). Dr. Castronova teaches graduate and undergraduate courses on the design of games, the virtual world industry, and the management of synthetic societies. He has created two virtual worlds: Arden, a small-scale example of a Shakespearean virtual world, and Greenland, a large-scale futuristic MMOG. Chang has over 100 journal publications (most of which are in Thompson Reuters ISI) and chapters in books and conference proceedings volumes, is the Executive Editor of the Taiwan Journal of Applied Economics, is a member of the editorial boards of 17 international journals, and has guest co-edited special issues of Journal of Econometrics (Elsevier), Mathematics and Computers in Simulation (Elsevier), North American Journal of Economics and Finance (Elsevier), Annals of Financial Economics (World Scientific), and Journal of Risk and Financial Management (MDPI). Primavera De Filippi is a permanent researcher at the National Center of Scientific Research (CNRS) in Paris, and a faculty associate at the Berkman Center for Internet & Society at Harvard Law School, where she is investigating the concept of "governance-by-design" as it relates to online distributed architectures. Most of her research focuses on the legal challenges raised, and faced by emergent decentralized technologies —such as Bitcoin, Ethereum and other blockchain-based applications —and how these technologies could be used to design new governance models capable of supporting large-scale decentralized collaboration and more participatory decision-making. For full details of her research interests and publications please see here. Prof. Luciano Floridi, Professor of Philosophy and Ethics of Information at the University of Oxford and Chair of the Data Ethics research Group (DEG) at the Alan Turing Institute, Governing Body Fellow of St Cross College, Distinguished Research Fellow of the Uehiro Centre for Practical Ethics, Faculty of Philosophy, and Research Associate and Fellow in Information Policy of the Department of Computer Science. Outside Oxford, He is also Adjunct Professor (“Distinguished Scholar in Residence”) of the Department of Economics, American University, Washington D.C.
His research concerns primarily the Philosophy of Information, Information and Computer Ethics, and the Philosophy of Technology. Other research interests include Epistemology, Philosophy of Logic, and the History and Philosophy of Scepticism. He has published over a 150 papers in these areas, in many anthologies and peer-reviewed journals. His works have been translated into Arabic, Chinese, Dutch, French, German, Greek, Hungarian, Italian, Japanese, Persian, Polish, Portuguese, Russian, and Spanish. For full details of his research interests and publications please see here. Douglas Fuller's research centres on the technology development strategies of firms in emerging economies with a regional focus on Asia. He has degrees in history (BA) at Swarthmore College and East Asian Studies (MA) at UC Berkeley. He completed his PhD in political science at Massachusetts Institute of Technology. Following this, he served as post-doctoral fellow at Stanford University’s Stanford Project on Regions of Innovation and Entrepreneurship. Subsequently, he taught at the School of International Service in Washington DC and in the Department of Management of Chinese University of Hong Kong. He is the author of 'Paper Tigers, Hidden Dragons: Firms and the Political Economy of China's Technological Development' (Oxford) 2016. Dragan Gasevic is a Professor and Chair in Learning Analytics and Informatics in the Moray House School of Education and the School of Informatics at the University of Edinburgh since February 2015. 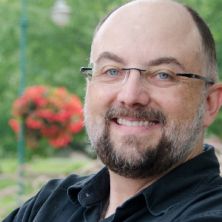 Before the current post, he was the Canada Research Chair in Semantic and Learning Technologies and a Professor in the School of Computing and Information Systems at Athabasca University. 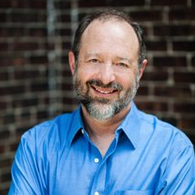 He is President of the Society for Learning Analytics Research, an Adjunct Professor in the School of Interactive Arts and Technology at Simon Fraser University, Adjunct Professor in the School of Education at the University of South Australia, and a Research Scientist in the LINK Research Lab at the University of Texas, Arlington. A computer scientist by training and skills, Dragan considers himself a learning and information scientist developing computational methods that can shape next-generation learning and software technologies and advance our understanding of information seeking, sense-making, and self-regulated and social learning. Funded by granting agencies and industry in Canada and Europe, Dragan is a recipient of several best paper awards at the major international conferences in learning and software technology. 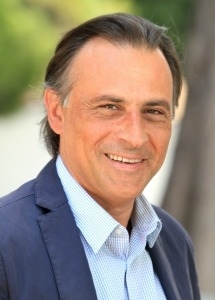 Constantin Gurdgiev is the Professor of Finance with Middlebury Institute of International Studies at Monterey, CA, an Adjunct Professor in Finance with Trinity College, Dublin and a CEO of the Macroview. He specialises in teaching and research relating to investment theory, investment markets analysis, investment strategy and trading, behavioural finance and economics, and enterprise risk and financial risk. Professor Gurdgiev is research-active in macroeconomics and finance, as well as economic policy analysis and advises a range of clients on European and Russian financial markets and macroeconomic risks, investment strategy and portfolio allocations. In the past, Professor Gurdgiev served as the Head of Research and Partner for St. Columbanus AG, thethe Head of Macroeconomics with the Institute for Business Value, IBM, Director of Research with NCB Stockbrokers, Ltd, and Group Editor and Director of Business&Finance Publications. Professor Gurdgiev was educated in the University of California, Los Angeles (International Economics), University of Chicago (Economics), Johns Hopkins University (Economics) and Trinity College, Dublin (Macroeconomics and Finance). Dr Monica Horten is a Global Digital Foundation Fellow and a Visiting Fellow at the London School of Economics and Political Science (LSE). She holds a PhD in communications policy from the University of Westminster. She also holds a Masters degree with distinction; a postgraduate diploma in marketing (DipM); and a Bachelor of Arts from the Australian National University. She is the author of three books and several academic papers examining Internet-governance policy from a critical perspective. Her research concentrates on policy governing Internet intermediaries (including copyright and intermediary liability). She has produced high profile research at European level, and presented in the European Parliament & expert groups. Her research methodology relies on an in-depth knowledge of EU policy and institutions, their processes and procedures, including legislation, regulatory framework, trade agreements and human rights. Dr Horten was a member of the Council of Europe's Committee of Experts on Internet Freedom. She serves as a Council of Europe expert on joint CoE / EU funded projects in Ukraine, Moldova, Georgia and other former Eastern bloc states. She runs training on Internet governance, and regularly speaks at international conferences. Her website, /Iptegrity.com/, has a core readership in the Brussels policy community and has been cited in the media. She was shortlisted for /The Guardian/ Open Internet Poll 2012. Prof Jones-Imhotep is Associate Professor, History of Technology at York University, focusing on modern Europe and North America. He received his PhD in history of science from Harvard University. His current research focuses on the intertwined cultural histories of reliable humans and trustworthy machines. He received a B.A. from York University in 1995 and a Ph.D. from Harvard in 2001. He was a recipient of the Mellon Fellowship from the Andrew W. Mellon Foundation in Humanistic Studies in 1995. His research lies at the intersection of historical and philosophical questions surrounding the modern physical sciences and technology. His work has been published in many scientific journals in the United States, Canada and all over the world. Roslyn Layton is a PhD Fellow at the Center for Communication, Media and Information Technologies at Aalborg University in Copenhagen, Denmark. She compares broadband internet, innovation, and investment policies across countries to help nations find the right mix of activities to support the development of their internet economy, promote the adoption of socially-beneficial digital technologies, and maximize the innovation opportunities for innovation for all stakeholders. 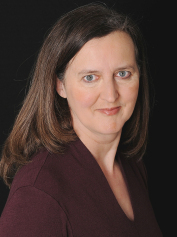 For full details of her research interests and publications see www.RoslynLayton.com. Pierre Lévy has devoted his professional life to understanding the cultural and cognitive implications of the digital technologies, to promoting their best social uses, and to the study of human collective intelligence. He has advised governments, companies and cultural institutions on these subjects. He is fellow of the Royal Society of Canada and has received multiple awards and academic distinctions. 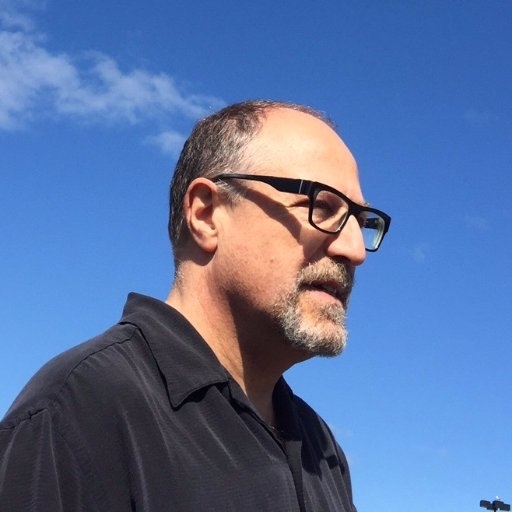 He teaches at the communication department of the University of Ottawa (Canada) where he leads the IEML project for an open-source computable semantic meta-language. His 13 books have been translated into more than a dozen languages and are studied in universities all over the world. His reference book Collective Intelligence was originally published in French by La Découverte in 1994. His most recent book The Semantic Sphere. Computation, Cognition and the Information Economy was published in 2011 by Wiley. Michael McAleer is an elected Fellow of FASSA, FIEMSS, FMSSANZ, DFIETI, Tinbergen Institute and Journal of Econometrics. 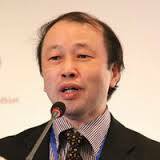 He is is University Distinguished Chair Professor and Professor of Quantitative Finance, National Tsing Hua University, Taiwan and Professor of Quantitative Finance, Econometric Institute, Erasmus School of Economics, Rotterdam. He is Editor-in-Chief of 5 international journals, on the editorial boards of 37 other journals, and has published more than 650 journal articles and books. For more information about his research interests and publications please see here. Patrick Messerlin is Chairman of ECIPE’s (European Centre for International Political Economy) Steering Committee/Advisory Board, Professor emeritus of economics at Sciences Po Paris, and Director of Groupe d’Economie Mondiale (GEM) at Sciences Po since its creation in 1997. GEM is an independent research unit seeking to improve the performance of French and European public policies in a global world. Christopher Millard is Professor of Privacy and Information Law and head of the Cloud Legal Project in the Centre for Commercial Law Studies, Queen Mary University of London. 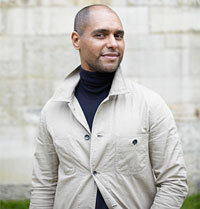 He is also a Research Associate at the Oxford Internet Institute and is Of Counsel to the law firm Bristows. He has over 30 years experience in technology law, both in academia and legal practice. His first book, Legal Protection of Computer Programs and Data (Sweet & Maxwell, 1985), was one of the earliest international comparative law works in the field and he has since published widely on legal and regulatory issues relating to information technology, communications, privacy, e-commerce, and Internet law. Since 2008 his main research focus has been cloud computing. He is co-author of Cloud Computing Law (Oxford University Press, 2013) and is a founding editor of the International Journal of Lawand IT and of International Data Privacy Law. Hwy-Chang Moon received his Ph.D. from the University of Washington and is currently Professor of International Business and Strategy in the Graduate School of International Studies at Seoul National University. Professor Moon has taught at the University of Washington, University of the Pacific, State University of New York at Stony Brook, Helsinki School of Economics, Kyushu University, Keio University, Hitotsubashi University, and other Executive and Special Programs in various organizations. On topics such as International Business Strategy, Foreign Direct Investment, Corporate Social Responsibility, and Cross-Cultural Management, Professor Moon has published numerous journal articles and books. He is currently the Editor-in-Chief of the Journal of International Business and Economy, an international academic journal. Professor Moon has conducted consulting and research projects for several multinational companies, international organizations (APEC, World Bank, and UNCTAD), and governments (Malaysia, Dubai, Azerbaijan, and Guangdong Province of China). For interviews and debates on international economy and business, Dr. Moon has been invited by international newspapers and media, including New York Times and NHK World TV. Born in Córdoba, Argentina, Manuel Trajtenberg graduated from the Hebrew University of Jerusalem in economics in 1973 and completed a master's degree in economics and sociology there in 1976. Since 1984 he has been a Professor of Economics at Tel Aviv University. In 1984 he received his Ph.D. from Harvard University for work entitled "Economic Analysis of Product Innovation: The Case of CT Scanners." Upon completing his Ph.D., he returned to Israel, and has since been serving as a professor in the Tel-Aviv University School of Economics. Prof. Trajtenberg has served in several public roles. He was a consultant to the Ministry of Industry, Trade and Labor and to the Prime Minister's Office. 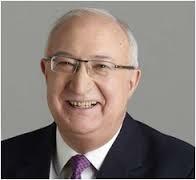 In 2006 he was appointed the first chair of the Israeli National Economic Council. In 2011, he was appointed to head a committee for negotiating with the Israeli protesters and recommending economic measures to overcome the crisis. He currently serves as a member of the Knesset, the Israeli Parliament for the (opposition) Labor Party. 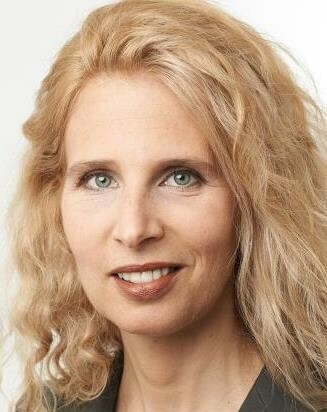 Prof. Trajtenberg headed the Higher Education system in Israel from 2009 through 2014 (e.g. Chairman of the Planning and Budgeting Committee of the Council of Higher Education), and prior to that served as head of the National Economic Council at the Prime Minister Office (2006-2009). He has held visiting positions at Harvard and Stanford, is a Research Associate of the NBER in Cambridge, USA, and of the CEPR in London, and was a Fellow of the Canadian Institute of Advanced Research. 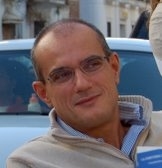 Marco Vivarelli graduated from Bocconi University-Milano and earned a Ph.D. in Science and Technology Policy from SPRU-University of Sussex and a Ph.D. in Economics from Pavia University. His current research interests include the relationship between innovation, employment and skills; the labour market and income distribution impacts of globalization; the entry and post-entry performance of newborn firms. He is Full Professor of Economics at the Università Cattolica del Sacro Cuore in Milano, where he is also Director of the Institute of Economic Policy. He is a professorial fellow at UNU-MERIT, Maastricht, a research fellow at IZA, Bonn, a member of the scientific executive board of the Eurasia Business and Economics Society (EBES), a member of the Scientific Advisory Board of the Austrian Institute of Economic Research (WIFO, Vienna). He is also a scientific consultant for the International Labour Office (ILO), World Bank (WB), the Inter-American Development Bank (IDB), the United Nations Industrial Development Organization (UNIDO) and the European Commission (EC). He has served as referee for more than 60 international journals. He is Editor-in Chief of the Eurasian Business Review, Editor of Small Business Economics Editor of Rivista Internazionale di Scienze Sociali, Associate Editor of Industrial and Corporate Change, Associate Editor of Economics E-Journal and Associate Editor of Economia e Politica Industriale — Journal of Industrial and Business Economics. In 2009 he was awarded the Order of Merit of the Italian Republic - Cavaliere al Merito della Repubblica Italiana. Dr. Yokozawa is the lead professor of the Market and Organisation Informatics Systems Laboratory at the Graduate School of Informatics, Kyoto University. which is a Joint Research Unit with Nomura Research Institute, Ltd. He has participated in many study groups for regulatory and policy issues for both the Japanese government and private sector associations, covering broadband, spectrum management, Internet governance, privacy, digital trade, innovation and Ubiquitous Network Society policies. He leads global policy discussions in a variety of global organisations, including APEC TEL and ECSG, the OECD's business advisory committee. He is vice chair of the Business and Industry Advisory Committee/Digital Economy) and the Data Flow Policy Working Group in WITSA, the World IT Service Association. As chairperson of the Personal Data Protection Task Force in JISA, the Japan IT Service Industry Association, and vice chairperson of the Internet Economy Working Group in Keidanren, the Japan Business Federation, he plays a leading role in Japan's domestic technology policy. Between 2014 and 2016 he was actively involved in the Internet Public Policy Fora, including the Working Group for Enhanced Corporation, the Internet Governance Forum, the World Summit on the Information Society+10 review in 2015, and ICANN.